Recently I came across a viral photo on Facebook that showed a railway track dropping over the edge of a cliff, then continuing on below. So where was the photo taken, and why is the track layout so ridiculous? I found a German-language internet forum where people were laughing at the same photo, which led me to the location pictured – Leipzig Hauptbahnhof, the central railway terminus of Leipzig, Germany. That sent me down a German-language rabbit hole, that ended on a German model railway forum. Where they were asking the same question I was. Can somebody tell me for what this “step” in the track is for? This is the museum track of the Leipzig Hbf. The display includes steam locomotives. As well as slightly newer electric units. But the reason for the difference in track height eluded me – the answers didn’t seem right. Apparently the platforms were raised, because in the pictures it is quite flat. I also remember that you had to climb up to the cars and jumped down when you were a kid. Probably on this platform, for historical reasons, it has been refurbished to show how things used to be. Because underneath the “elevated track” is the loading dock, garbage disposal, etc. You can see for yourself if you just turn into the parking garage, or look from outside the station hall. I think the track was used only as a “stylistic agent” with everything looks like the other tracks. 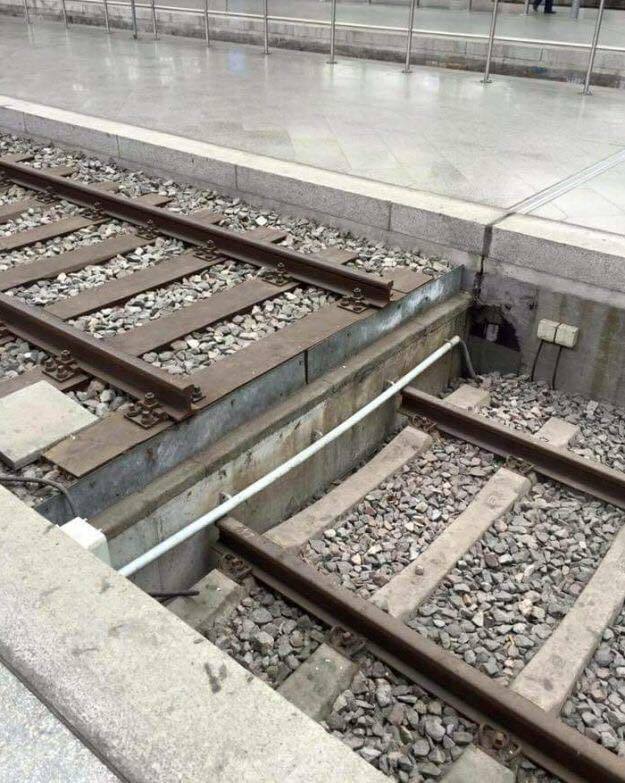 This entry was posted in Trains and tagged Deutsche Bahn, Facebook, Germany, Leipzig, mystery, trains, viral photos. Bookmark the permalink. I agree with most of the comments ref. 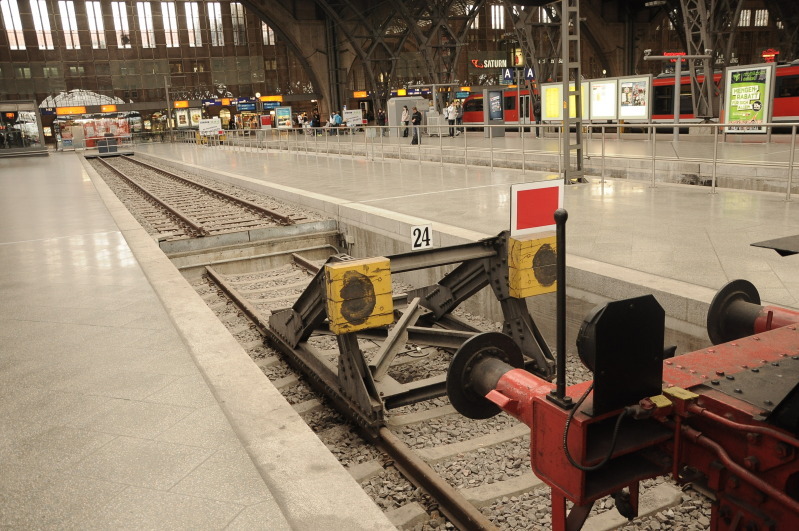 the background of Museum Track 24 at Leipzig Central. Incidentially, having been there just a few weeks ago, I admit that by far not as many exhibits are displayed as listed in the pictorial link. Specifically, I feel that railcar series 772 is sadly missing. Anyway. I do however have another assumption regarding the diffference in height of the two track portions. Not eventual storage facilities below or suchlikes might have been the real reason, nor the attempt to preserve something of a historical authenticity. I reckon it were simply cost considerations, funds that were saved from not adapting the track height. The thoughts behind might well have been that track 24 will anyway never again be used for regular train-to-passenger flows (which might eventually turn out to be a mistake), thus not requiring any adaption. Best wishes and keep looking. Thanks for the background on the museum track Hubert!